I didn’t grown Arugula in my garden this year and I have to admit I regret that. All parts of the plant are edible including the seeds, pods and flowers. Next year Arugula will be a must have! 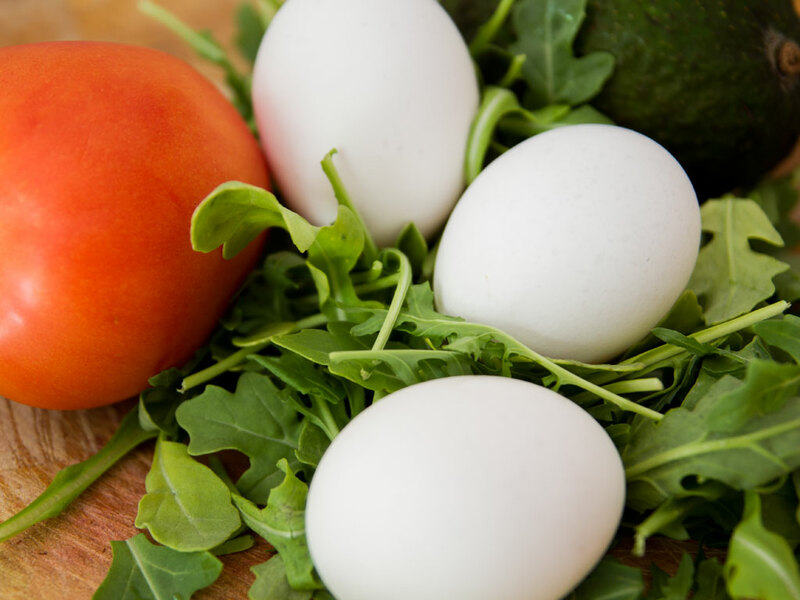 Many of our meals just lately have included Arugula either in the dish or as a nice side salad. Its delicate leaves make an attractive topper for this omelet we made for dinner. The slightly bitter taste was a lovely contrast to the sweetness of the tomatoes. Omelets are a nice quick meal that is extremely versatile and unless you don’t or can’t eat eggs its a perfect one “pot” dish. This recipe hits everything you need for a satisfying meal. It has your dairy, leafy greens and lots of protein. There are 10.9g net carbs, 26.6g protein and 11 Weight Watchers points per serving. Stir together eggs and cream, salt and pepper to taste. Melt butter in a frying pan and pour in the egg mixture. Fry on low heat and pull the egg batter towards the middle as it solidifies. 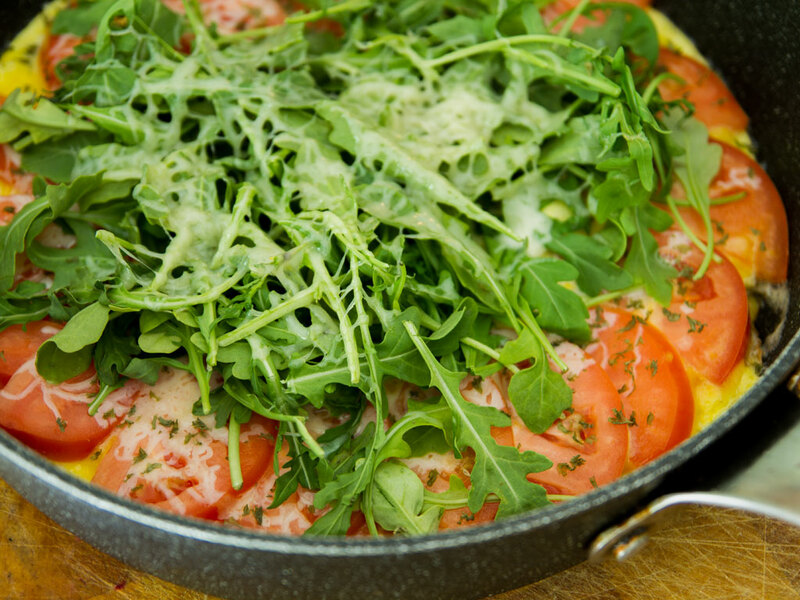 When it is almost set add tomato slices and arugula. Top with grated cheese. Serve hot with an avocado.